In this article, we will show you how you can display shipping rates from multiple shipping carriers for different shipping services using WooCommerce Multi-Carrier Shipping plugin. The easiest way of getting multiple service rates for multiple carriers instantly with just one click is finally here! 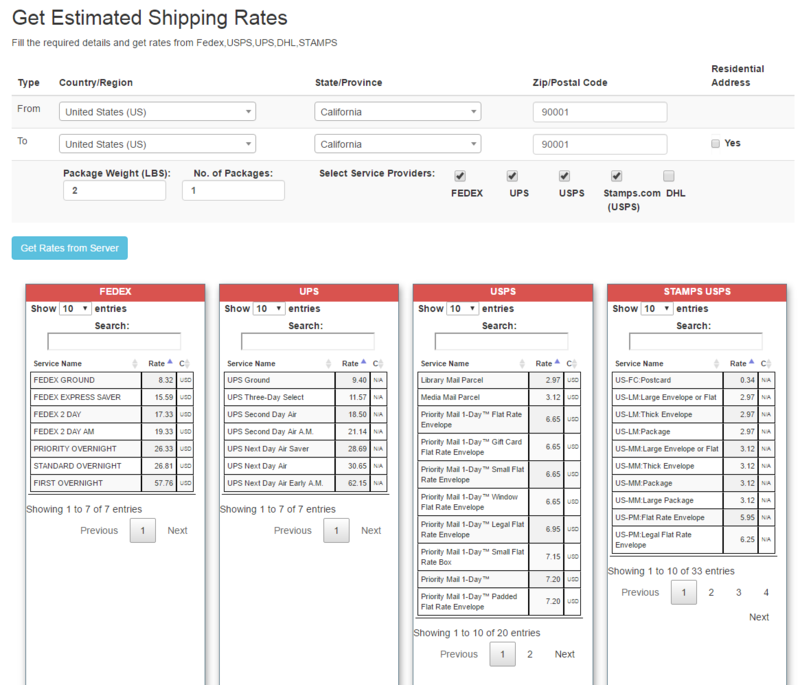 The Estimated Shipping Rates Tool will help you get rates from popular carriers such as FedEx, UPS, USPS, Stamps.com, and DHL. And the GOOD NEWS is that it is absolutely FREE! If the destination address is residential, tick the checkbox to get the correct rate. Enter the weight of one package and count of such packages you want to get the rate for. Just select the service for which you want to get rates. After selecting the required shipping carriers just click button and that’s all. You will get rates from all carriers within seconds!